Own for as low as $1,794 per month. *Limited time only. Financing based on a 5/1 FHA ARM loan, with an interest rate of 4%, upfront mortgage insurance premium, an APR not to exceed 4.666%, and 3.5% down payment. Monthly payment assumes the base sales price of the community which includes principal, interest, estimated real estate taxes, insurance, up front mortgage insurance premium. Monthly payment does not include homeowner's association or condominium dues or assessments. The borrower is paying 0 discount point(s). Mortgage insurance is included in these examples because the LTV is 96.5% which requires mortgage insurance. Criteria for loan program qualification and interest rates on loan programs will vary based on credit criteria, final amount of down payment, and are subject to current market pricing. APR may vary depending on rate and final loan program. The financing used in this example is based on a conforming loan product and applies only to loan amounts that are $453,100 or less. Loan amounts over $453,100 are subject to additional costs/pricing. Must also meet FHA county guidelines. Certain restrictions may apply. Rates effective 4/24/2019 and subject to change without notice. The note rate may increase or decrease 1% per year after the 60th month and every 12 months thereafter. Over the life of the loan, the note rate may increase a maximum of 5%. On the annual adjustment intervals, the rate will adjust to the weekly average yield of the United States Treasury Securities adjusted to a constant maturity of one year (index) plus 2.250% (margin). Rates on loan programs may vary based on credit criteria, final amount of down payment, and are subject to current market pricing. APR may vary depending on rate and final loan program. Certain restrictions may apply. Prices, offers and financing are subject to change without notice. See sales representative for details. Coming Soon to Millsboro, DE! 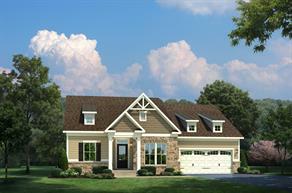 New single-family homes with basements available in a beautiful lake-oriented, amenity-enriched, low-maintenance community from the high $200s. From Route 1 in Lewes/Rehoboth Beach: - Turn onto Route 24 WEST. - Follow approximately 9 miles- Turn LEFT onto Bay Farm Road. - Community is on the right. 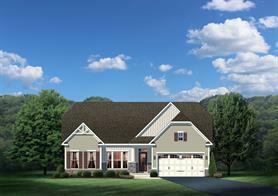 Our Carolina Place model home is the first on the left (model parking lot is right in front). From Route 113: - Turn onto Route 24 EAST (toward the beaches). - Follow approximately 6 miles- Turn right at the first traffic light onto Bay Farm Road. - Community is on the right. 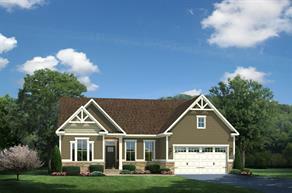 Our Carolina Place model home is the first on the left (model parking lot is right in front). This community is being sold from an offsite location, please reach out for an appointment!